I’m not ashamed to say it, I have a countdown to the new season of “Orange Is the New Black.” It’s 10 days, in case you were wondering. Interestingly, despite the appeal of shows depicting prison, we have not seen a significant change in the country’s discourse about incarceration. With approximately 2.2 million people in jails and prisons, we have the highest incarceration rate in the world. In fact, our prison rate is so massive that the Prison Policy Initiative measures individual state incarceration rates against other countries. On average, for every 100,000 people in the United States, 716 people are incarcerated. Put another way, the United States has more prisons than degree-granting colleges and universities. Most alarming is the crime rate is not the cause of the 500 percent increase in prison population – sentencing law and policy are to blame. While more than 35,000 youth are in prisons and jails across the country, this number misses the numerous juvenile cases that are tried in the adult system. In my home state – Pennsylvania – and many other states, children can be tried as adults. Only 16 states ban life without parole for children. Pennsylvania is not one of them. If we are serious about reducing crime and not enjoying our massive prison population, then we must start at the beginning with sentencing policy. What better place to start than where there can be the greatest benefit – our children. Not only does sentencing children to life without parole seem excessive, it leads to higher prison populations years later. In Miller v. Alabama, the United States Supreme Court already ruled and found it unconstitutional to sentence juveniles to life in prison without the possibility of parole. This makes sense for many reasons. The penal system is not designed as a place to harbor individuals as a parallel to living a free life. It is meant as a punishment and to discourage certain behaviors. Unfortunately, Miller v. Alabama only applied to cases that were not yet closed, which meant that youth serving life sentences and had their cases closed before the 2012 ruling were in limbo. In a recent, February 2016 ruling in Montgomery v. Louisiana, the United States Supreme Court ruled that Miller could be applied retroactively, however, left this predominantly in the hands of state courts to decide whether Miller should in fact be applied retroactively. To date, only 16 states ban life without parole for children (Alaska, Hawaii, Nevada, Utah, Colorado, Kansas, Montana, Wyoming, South Dakota, Kentucky, West Virginia, Vermont, Massachusetts, Connecticut, and Delaware). Five states ban life without parole for children in most cases (New York, New Jersey, Florida, and California). This leaves 29 states allowing children to be sentenced to life in prison. Life without parole is costly. In an economic sense, the cost of juvenile life without parole sentences are exorbitant. It costs about $34,135 to house an average prisoner. If you do the math, a 16-year old sentenced to 50 years in prison will cost the American taxpayer approximately $2.25 million. To put this in perspective, The College Board estimates that state college tuition is approximately $24,061. If we were to put this same kid through a four-year school, it would cost approximately $96,244. That is a difference of $2.16 million. Not to mention the tax dollars not collected, the jobs not filled, etc. 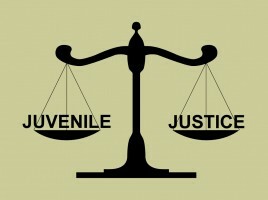 Furthermore, the sentencing policies which allow juveniles to be tried in the adult system or allow children to be sentenced to life without parole fail to address the broader societal issues leading children into the justice system in the first place. A 2012 survey by The Sentencing Project found that of juveniles sentenced to life in prison without parole, 79 percent witnessed violence in their homes regularly, 47 percent were physically abused and fewer than half were attending school. If we are to address our astronomical incarceration rate, we must re-examine our costly and infective sentencing polices and invest money in our youth. In addition to the main point of the article (youth imprisonment) another factor contributing to the huge (and shameful) number of incarcerated individuals is our money bail system. We are one of only two countries (the Philippines is the other) that has a money bail system. Many folks languish in jail (sometimes longer than their sentence would be if they pled guilty!) simply because they don’t have the cash to walk. This essentially means we imprison low-income people – because they are low-income! Once again, this is a policy decision that leads to tremendous tax payer cost and a clogged and dysfunctional prison system.